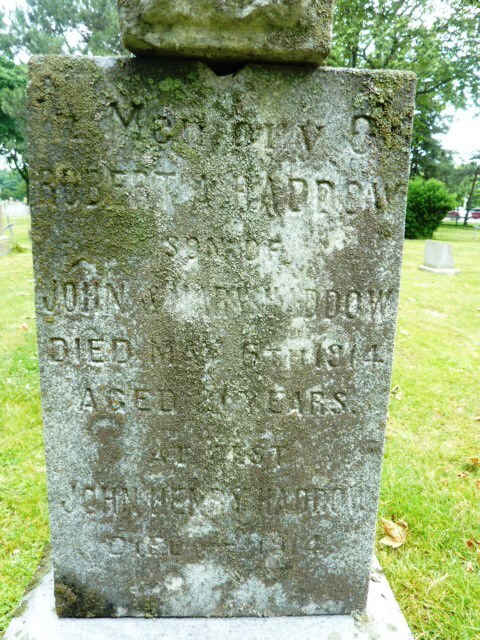 Not to be confused with Robert Alexander Moors (more evidence of how close the Moors and Haddow families were), THIS Robert Alexander passed away at the young age of 21 as a result of contracting tuberculosis. He was described, at the time, as being a fireman for the City of Hamilton. Robert Alexander was born September 10, 1893 in Hamilton, Ontario. 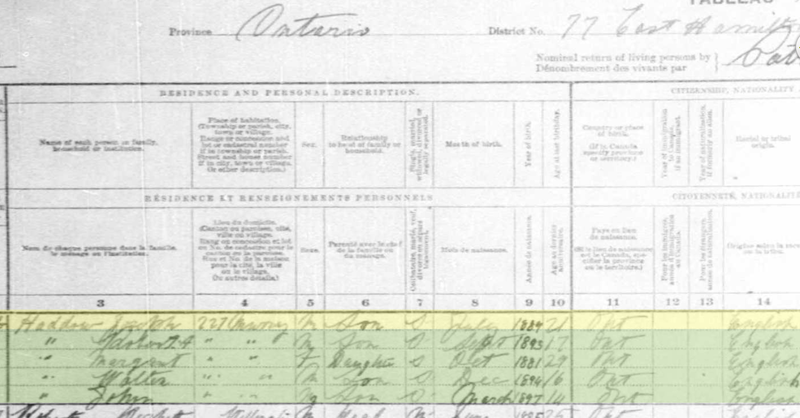 He is with his family, an 8 yr. old, on the 1901 census. …and a 17 year old on the 1911 census. 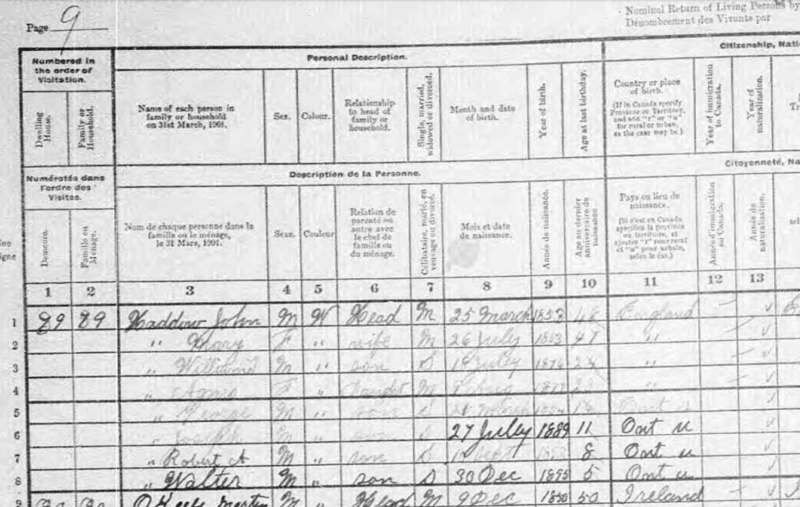 Father and mother are together at the bottom of the previous census page. On May 6, 1914, Robert passes away and is buried along with his mother, father and two of his brothers in historical Hamilton Cemetery. I said prayers at this resting spot in 2013. May the souls of my ancestors forever rest in peace. Any one who has further information, please connect. 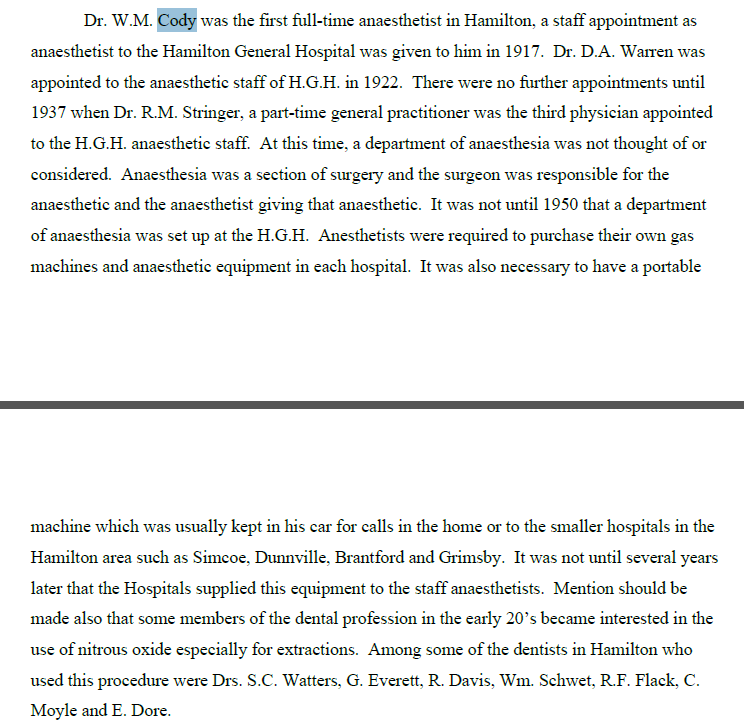 I’m looking for information on the vintage fire departments of the time and also, given that he spent one full year suffering the symptoms of tuberculosis, I’m also researching sanitorium history of the day in Hamilton, Ontario. Of Dr. W. M. Cody, Robert’s attending physician, I have learned of his expertise. Dr. W.M. Cody continued to advance through the Hamilton medical system. He was one of the initial members of the Hamilton Academy of Medicine. “In the early fifties, Dr. Cody initiated a policy of retaining an anaesthetist in the obstetrical wing commencing from noon to the following noon giving complete service for the 24 hours. At St. Joseph’s Hospital, the Chief of the Anaesthetic Department was responsible for the anaesthetic listings.” He retired in 1946. I have no documents substantiating that Robert spent his last year at Mountain Sanitorium, but it is likely.